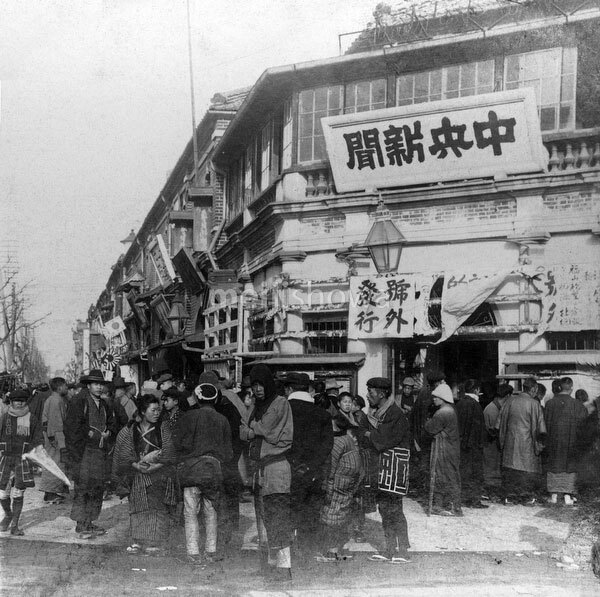 A small crowd discusses the latest news about the Russo-Japanese War in front of the Ginza office of the Chuo Shimbun (中央新聞) sometime in 1904 (Meiji 37). The sign above the entrance reads “Special Edition” (号外発行). The Chuo Shimbun was a Tokyo based daily newspaper published between 1891 (Meiji 24) and 1940 (Showa 15).